Iceland has soared in popularity as a holiday destination. More travellers, intrigued by the country’s otherwordly landscape and the experiences on offer, are crossing the ocean on a wave of adventure. Cruises to Iceland also take in destinations like Amsterdam and the Norwegian fjords, making them perfect for those who want to immerse themselves in natural beauty and unique culture. But this isn’t the only reason why cruises to Iceland should be at the top of your holiday wishlist. Here are seven more. Icelandic locals are some of the friendliest in the world. Welcoming, forward-thinking and ready to greet you with a smile, you will settle straight into life on this breath-taking island. Iceland is one of the most literate countries in the world, was the first country to elect an openly gay head of state (legalising gay marriage back in 2010), and has an astonishingly low rate of violent crime. Even if you are on a solo cruise you won’t feel alone – on a recent trip to the country I was approached by a local who wanted to know what I was reading. We ended up chatting about books for almost an hour over hot chocolate and waffles at Mokka, Reykjavik’s oldest coffee shop! It goes without saying that Iceland looks truly spectacular. Its lava fields, black sand beaches and geothermal pools are like something from another planet. Then there are the volcanoes. Sitting on the mid-Atlantic ridge, Iceland experiences a huge amount of volcanic activity. (Who could forget the eruption of Eyjafjallajokull?) Volcanic cones litter the landscape and you can even step inside an empty magma chamber. 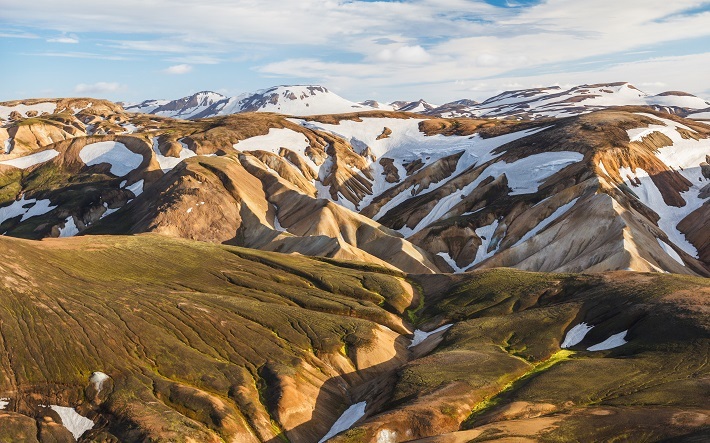 But Iceland is just as well-known for its sprawling glaciers as its hundreds of volcanoes. 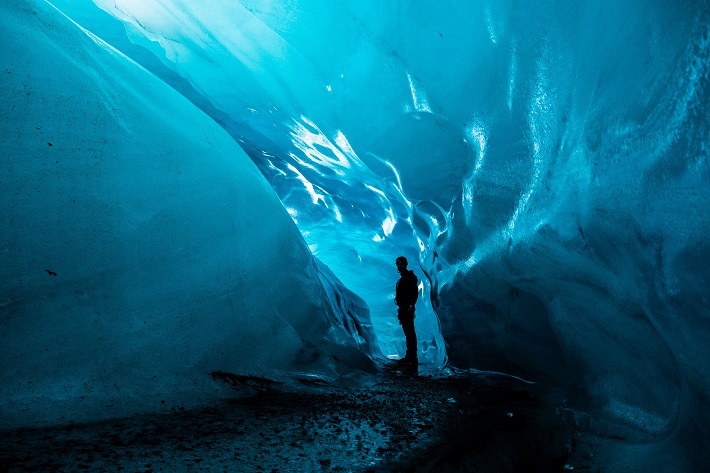 From glacier caves and exhilarating glacier walks to stunning glacial lakes, there is no shortage of frozen wonders to experience during your cruise. This quirky capital is a fantastic stop on Iceland cruises. Packed with great shops, unique landmarks and fantastic places to eat, it is the perfect place to spend a day – even a few days during cruise and stay holidays. 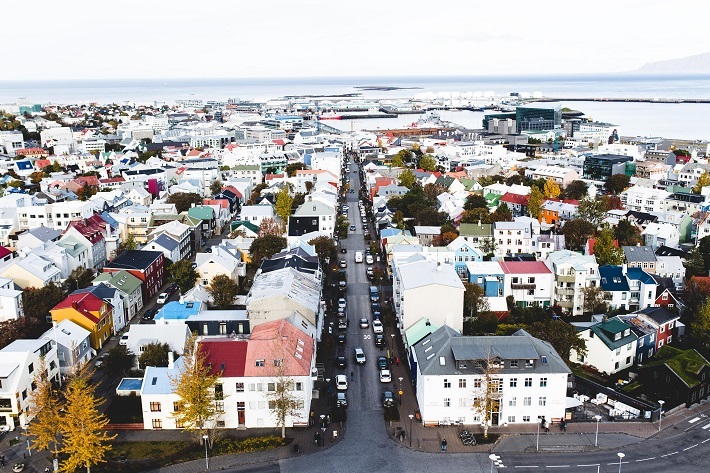 Food at Laundromat café is essential, a trip to the top of Hallgrimskirkja church offers breath-taking views of the city and a stroll along the harbour will blow away the cobwebs. Make sure you pick up an authentic Icelandic jumper before heading back to your ship. 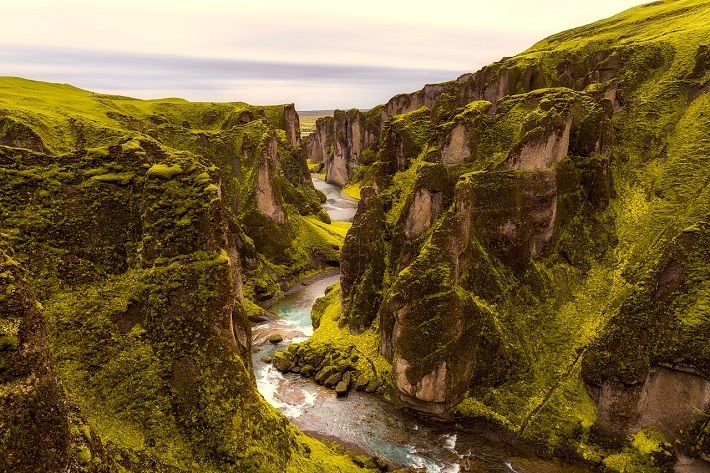 Imagine riding an Icelandic horse through the lava fields, bathing in toasty geothermal pools as the wind howls around you, snorkelling between two tectonic plates at Thingvellir National Park or watching Strokkur geyser erupt at Geysir Hot Springs. Iceland is packed with bucket list experiences you will never forget. 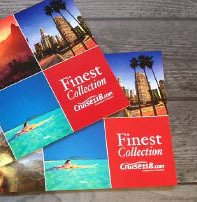 Why not speak to our Cruise Concierge team about adding some of them onto your cruise? Iceland is a fantastic place to see the Northern Lights. These dancing strings of green and purple light will make you fall head over heels in love with the country, but they aren’t always easy to see. The best time to catch sight of the Northern Lights in Iceland is between September and mid-April, when the country is at its darkest. Like all Polar cruise destinations, Iceland experiences the mind-boggling midnight sun. 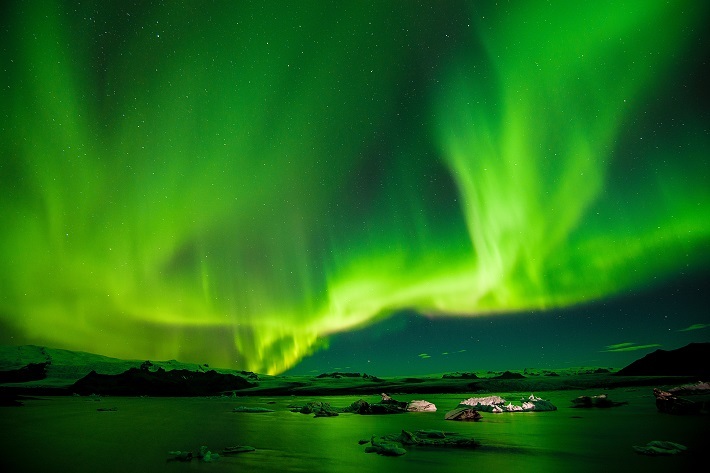 Cruise to Iceland from June to August and you can experience this phenomenon for yourself. Spend your night in Reykjavik’s bars or your cruise ship’s clubs and you will find yourself walking out into bright sunlight at 1am! Iceland’s wildlife is amazing. Cruise into Reykjavik or Akureyri and you could spot breaching humpback whales or diving dolphins from the comfort of your ship. On whale watching trips from these cities, passengers have even spotted orcas. In Ísafjörður, the hub of the Westfjords, you could spot arctic foxes scampering around the rocky terrain. 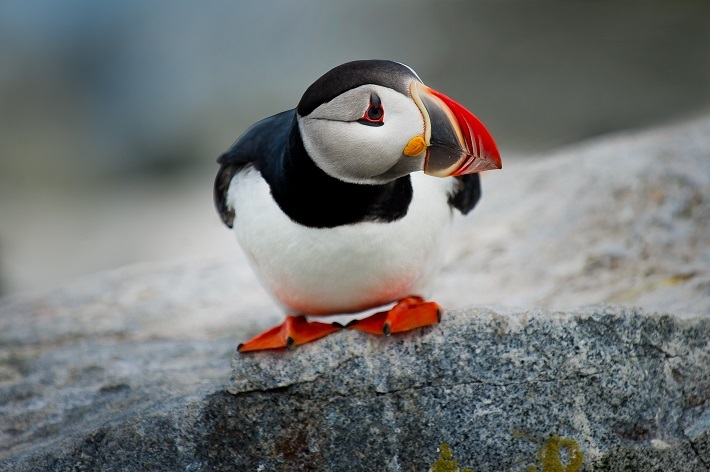 Then there are the countless species of bird, including the characterful little puffin. 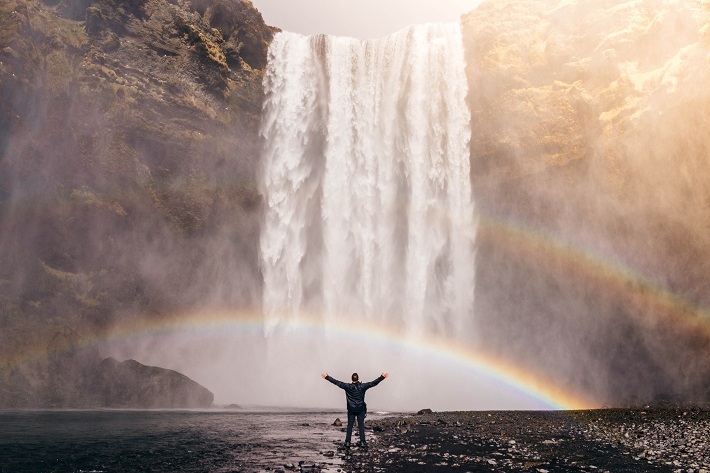 Whether you are travelling as an adventurous family or a couple; to celebrate a special occasion or as part of a solo expedition; Iceland is an unforgettable country that will take your breath away no matter how many times you visit. Would you like to find out more about how you can make the most of your cruise to Iceland, or which Polar itinerary is best for you? Call our Cruise Concierge team on 0207 980 2847.